Mark Twain’s 1885 novel, “Adventures of Huckleberry Finn,” has for generations been the center heated debate over whether its content was racist, or emblematic of the times in which it takes place. But according to Politico, now two African-American members of the New Jersey State Assembly are calling out schools with a non-binding resolution for the state to remove the book from school curriculums. The novel is viewed by many Americans as a classic. It is set in the antebellum south along the Mississippi River and tells the story of Finn, a white youth who escaped his home and abusive father, while adventuring with a runaway slave named Jim. Although the book sits in most libraries and has been taught in schools since its 1885 publishing, it makes mention of the n-word more than 200 times. New Jersey state legislators Verlina Reynolds-Jackson and Jamel Holley say it causes problems with students who are compelled to read it. “The novel’s use of a racial slur and its depictions of racist attitudes can cause students to feel upset, marginalized or humiliated and can create an uncomfortable atmosphere in the classroom,” reads the lawmakers’ resolution. Some versions being used omit the n-word, but critics have called it censorship and an obscuring of Twain’s original intent. A contentious debate is ongoing as to whether or not a publishing company is correct to remove the n-word from new editions of the Mark Twain classic. 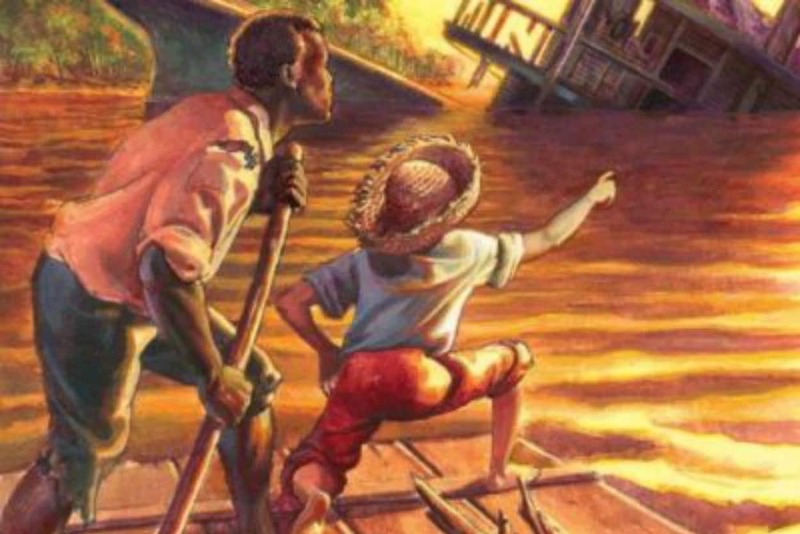 Proponents of keeping the text as is argue that Huck Finn is an honest reflection of its era and that the n-word’s presence adds to its power. Still, not everyone feels this book is harmful or racist. Nobel Prize-winning African American author Toni Morrison praised the book and “its ability to transform its contradictions into fruitful complexities and to seem to be deliberately cooperating in the controversy it has excited. Reynolds-Jackson says she doesn’t think think the book is directly racist but is just not a good fit for the climate in America currently. Although some New Jersey teachers claim to love teaching the book, according to the resolution school districts in Pennsylvania, Virginia, Minnesota and Mississippi have removed the book from their curriculums.